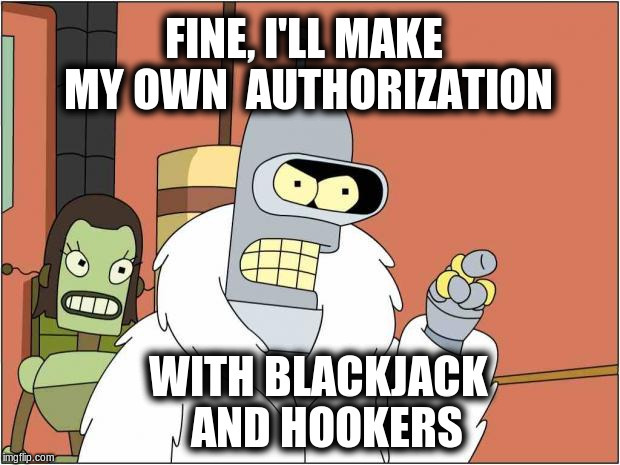 It is a very oft-repeated task while we are creating public API, we need a mechanism for authorization of requests. Ideally, it should not depend on the type of requests, so that we can check sign for all API calls. In this article, we take a look at approaches how can we do that in Play framework, problems that can appear and we propose one of the possible solutions, that from the point of the author seems to be comfortable in use. * Checks whether the API client is authorized to execute an action or not. Note: The other way was to parameterise request with AnyContent, it sounds like a more general way - because we can parse such request with default body parser to any supported content type. In the case of simplicity, I decided to choose String. In Play Framework controllers consist of methods that create Action objects to handle the incoming requests. For example in the HelloController below the helloWorld and hello methods create actions that return a “hello” message to the client. In this case, the action objects are constructed using the apply factory method of the Action singleton object. Also, as you can see in the example above Play Framework has a powerful concept of Body parsers. A BodyParser, which executes any two provided BodyParsers in parallel. The results are combined in the following way: If any wrapped parser's Iteratee encounters an Error, that's the result. Else if the first parser's Iteratee finally yields a Left, this is used as the result. Else if the second parser's Iteratee yields a Left, this is used as the result. Else both Right results are combined in a Right[(A, B)]. This approach can be used to provide the request's body both as a RawBuffer and a JSON-parsed custom model class, or to feed the body through an HMAC module in addition to parsing it. As you can see we are creating a new Action[(String, A)] (parameterized with the tuple that is a result of parsing in parallel request as String and data type A that was parsed with provided explicitly body parser ) with overrided methods: def parse method, that is now a DualBodyParser constructed from two - tolerantText body parser and body parser passed explicitly. def apply(request: Request[(String, A)]) - that handles request parsed with DualBodyParser and define authorization mehanizm. Next, in the Inside of the abstract class SecuredController body we should define SecuredAction built with SecuredActionBuilder and Authorization trait. tokens = // get your tokens from config or db etc. Voilà, that is it! I hope you have enjoyed this article, and it will be helpful for you .